This is the page for Ruby Tuesday menu prices! Ruby Tuesday is a casual dining restaurant that specializes in American classic dishes. Ruby Tuesday is well known for their hand-crafted burgers and salad bar but also have a complete menu that includes appetizers, sandwiches, chicken, steak, ribs, pasta, and salads. Ruby Tuesday regularly introduces featured dishes that are available for limited time. Every great meal deserves a refreshing drink! Check out the drink menu that includes cold beer, premium cocktails, and wine. Below are the latest Ruby Tuesday menu prices. What’s New at Ruby Tuesday? Looking for a last minute gift for that hard to buy for person? Look no further than a Ruby Tuesday gift. They are great gift ideas and people will enjoy redeeming them. You can purchase traditional gift cards that you can customize or you can order an e-gift card online that can be delivered to the recipient’s email inbox within 24 hours. Ruby Tuesday is committed to providing complete and accurate nutritional information for all menu items. You can ask your server for the information or you can find the complete guide on the Ruby Tuesday website. For those guests with specific food allergies, you to can enjoy a night out at Ruby Tuesday. An Allergen/Sensitivity menu is also available. Reservations are recommended at Ruby Tuesday locations and they make it easy to make them. No need to show up and wait to be seated. Get online before you go and reserve a table directly from the Ruby Tuesday website. Now that is convenient. Ruby Tuesday realizes that there are many moving parts going on all at once in one’s life. They take the hassle of trying to figure out what to eat for dinner. Head over to the official Ruby Tuesday website and order your favorite apps, entrees, and desserts and pick up your order when it is convenient for you. That’s Ruby Tue Go! The Ruby Tuesday So Connected email program is a great way for guest to stay connected with Ruby Tuesday and learn about new menu items, special events plus you get special offers delivered directly to your email inbox. Ruby Tuesday catering is the perfect solution for your next social or corporate event. You can order their signature entrees or platters that will guarantee you will be a big success. No need to worry about trying to figure out what to make, what to buy, how much to buy. Let the experts at Ruby Tuesday catering take care of all that. Turn your love for Ruby Tuesday concept into a promising career. Go ahead and visit the Career page on the official Ruby Tuesday website to learn about current opportunities. Learn about what it takes to become a team member, the competitive pay and benefits, and the professional training provided. 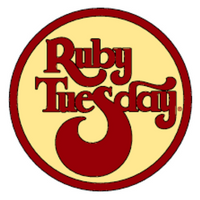 The first Ruby Tuesday was opened in 1972 near the Knoxville campus of the University of Tennessee by Sandy Beall, III. With the encouragement of a friend in the restaurant industry, Sandy cobbled together the initial funds to start the restaurant. Sandy’s vision was to open a place where patrons could visit and order hand-crafted food and drink items that used only fresh quality ingredients. Sandy wanted to create a place that was casual, comfortable and inviting. You can follow Ruby Tuesday on several social media platforms. For more information about Ruby Tuesday, visit their official website. How many Ruby Tuesday Restaurants are there? Ruby Tuesday Restaurants are located in 44 states and 13 countries. There are 688 US-based Ruby Tuesday locations and 49 international locations. Who owns Ruby Tuesday Restaurants? Ruby Tuesday Restaurants is a publicly traded company on the NYSE. Its ticker symbol is RT. Ruby Tuesday Restaurants is headquartered in Maryville, TN. How did Ruby Tuesday Restaurants get its name? The inspiration for the name of the restaurant came from the famous song, “Ruby Tuesday” made popular by The Rolling Stones during the time that Sandy Beall, the founder, was opening the restaurant in 1972. When does Happy Hour start at Ruby Tuesday Restaurants? Happy Hour at Ruby Tuesday Restaurants starts at 4:00 pm. A great place to start the end of the workday. Check your favorite location for exact times. What are typical Ruby Tuesday Hours of Operation? Lunch is too high u can eat better for half the price at Applebee ‘s abd they ACTUALLY put food on the plate! Better portions. Agree! These Prices are grossly outdated. Salad Bar is NOT $7.99. $9.99 in Pensacola as of August 2016. A friend and I ate at Ruby Tuesday Moss Point MS tonite.kind of a specialty Restaurant was very clean and waitress was great BUT the burger left a lot to be desired. I had been to Ruby Tuesday a few years ago and burger was very good the one I had tonite was very small. For a restaurant that advertises its hamburgers as kind of a specialty item it was lacking a lot. $ 8.99 for a child’s size burger is terrible. looked forward to eating there will not go back. not very informative. What do you get with a hamburger and if I want to add a salad ,what would that cost ?????????? Are there no positive comments for Ruby Tuesday? why you saying bad stuff but they worked very hard you should say good sttuff and I am only 8 stop saying bad stuff! Every online search shows the salad bar is either $7.99 or $8.99, except at the restaurant, where it is $9.99. The server said the price had not been $7.99 for years. My husband and I have always had a great meal at Ruby Tuesdays. Food is always good. Salad bar is always fresh. They have lots of great coupons and deals. We live in Southwest Florida. I give it 1 stair the salad bar was very messy @5pm ,spinach artichoke dip cold,french fries cold & hard, peppercorn steaks VERY TOUGH!!!!! Awesome article! I highly appreciate your effort! Where don’t we have a Ruby Tuesday in Vermont? We should have at least five of them around the whole state of Vermont.a lot of people only travel by city buses.so why don’t we have any Ruby Tuesday’s in Vermont yet? And when will we see any in Vermont?